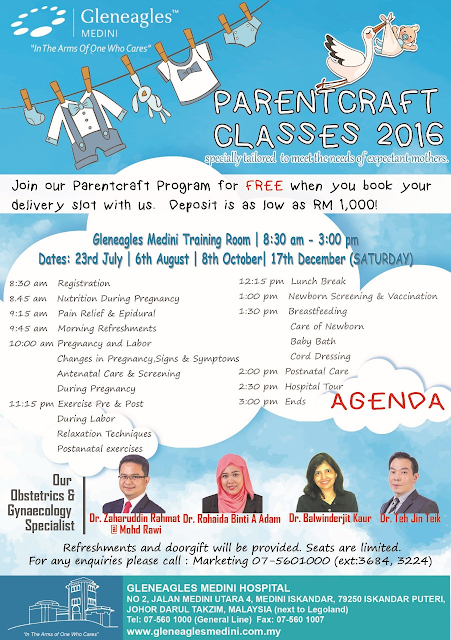 We have scheduled 4 sessions of parentcraft programs for this year. These programs are targeted for expecting parents either new or existing patients. This invitation is to existing patients for FREE if they sign up with deposit of RM 1,000. 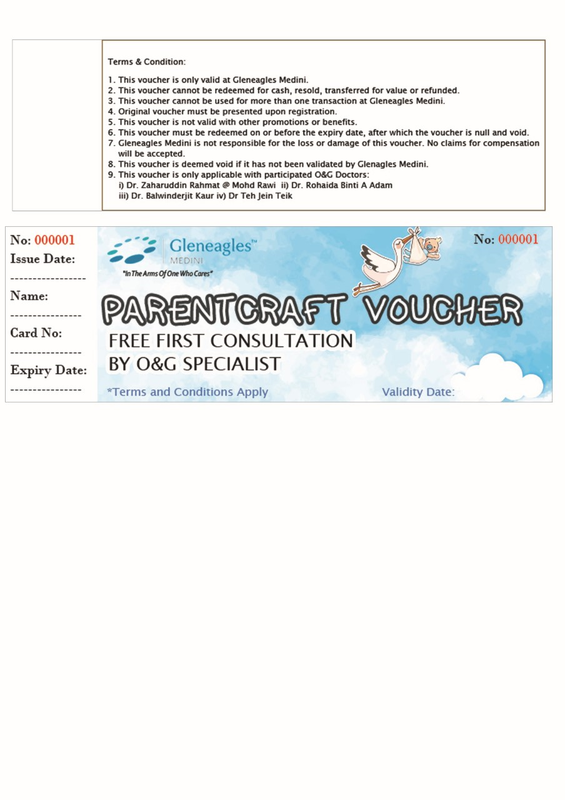 On the other hand, this parentcraft fee is at RM 200 / couple. We are also promoting FREE FIRST DOCTOR CONSULTATION for new patient only if they put a deposit to deliver here after attending the antenatal class. The timeline for these couples to make decision can be done within 3 months after they have attended the program. Below is the schedule and agenda for this program. I appreciate if you could advise the in charge personnel in performing the talk for each session.